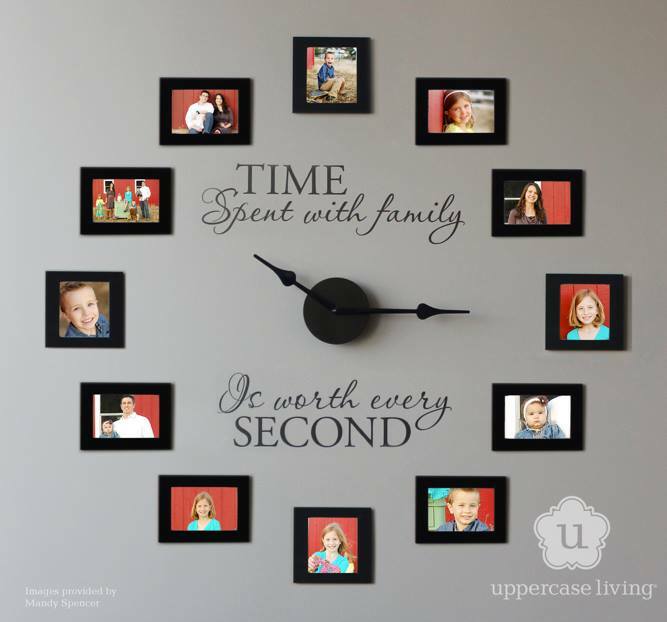 This beautiful photo wall clock kit is our most popular item! 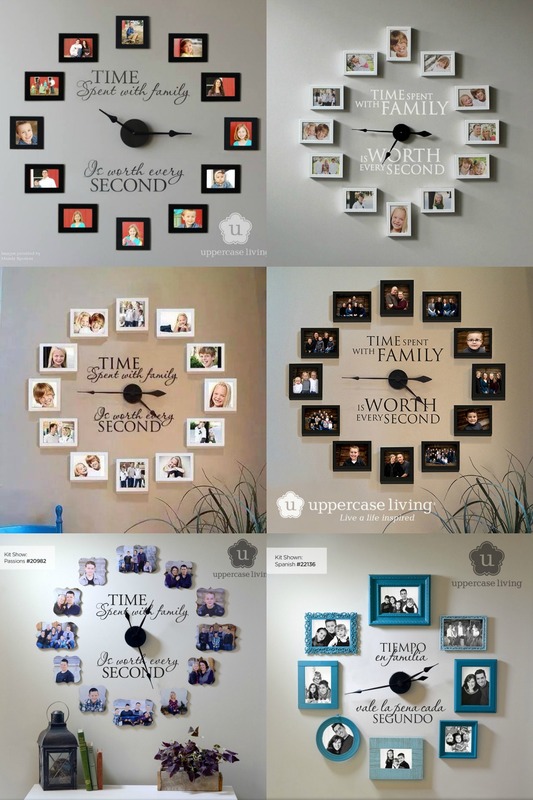 Get your own Clock now in any color! Does the clock work? Absolutely! No cardboard cutouts here. It is a standard clock powered by a single AA battery that keeps great time. 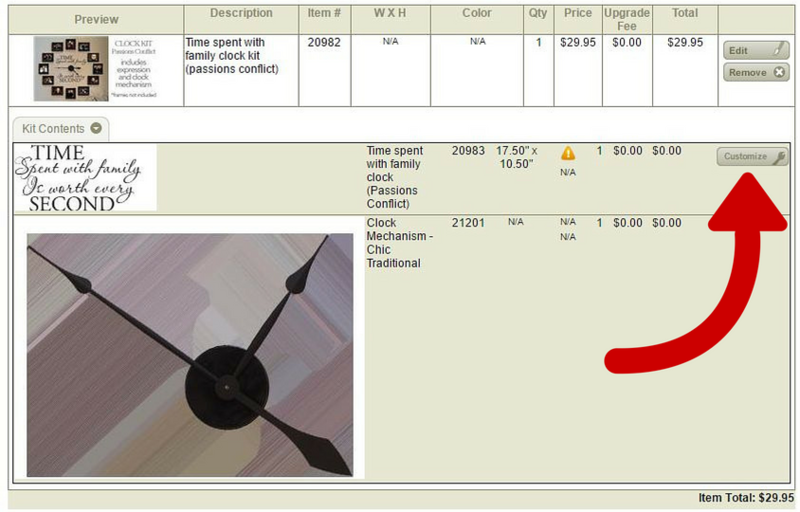 Click here for instructions on how to assemble the clock. How do I select the color for the words? In your shopping cart, click the “Customize” button in the right-hand column (click here to see an example). 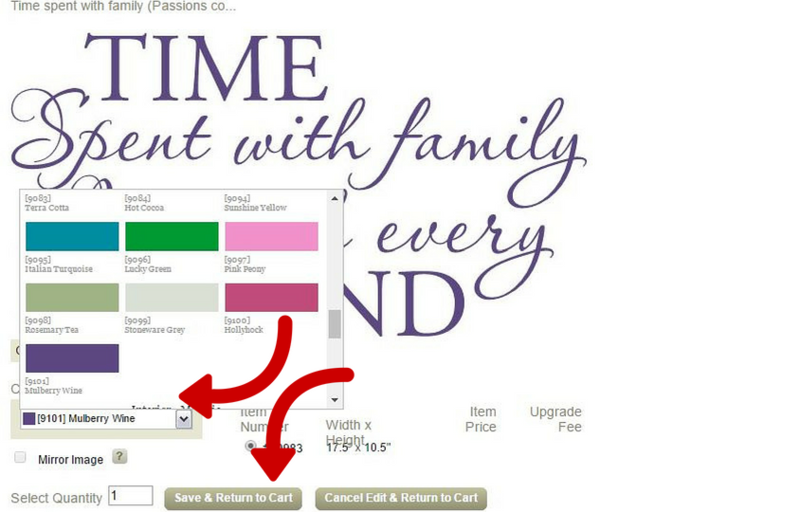 Then select your color from the drop-down list and click “Save & Return to Cart” (click here to see an example). Do you accept PayPal? Yes! Contact me and I can send you a payment request. Super simple! Having problems ordering? I’m here to help! Email, call, or text your question and I’ll get you an answer. 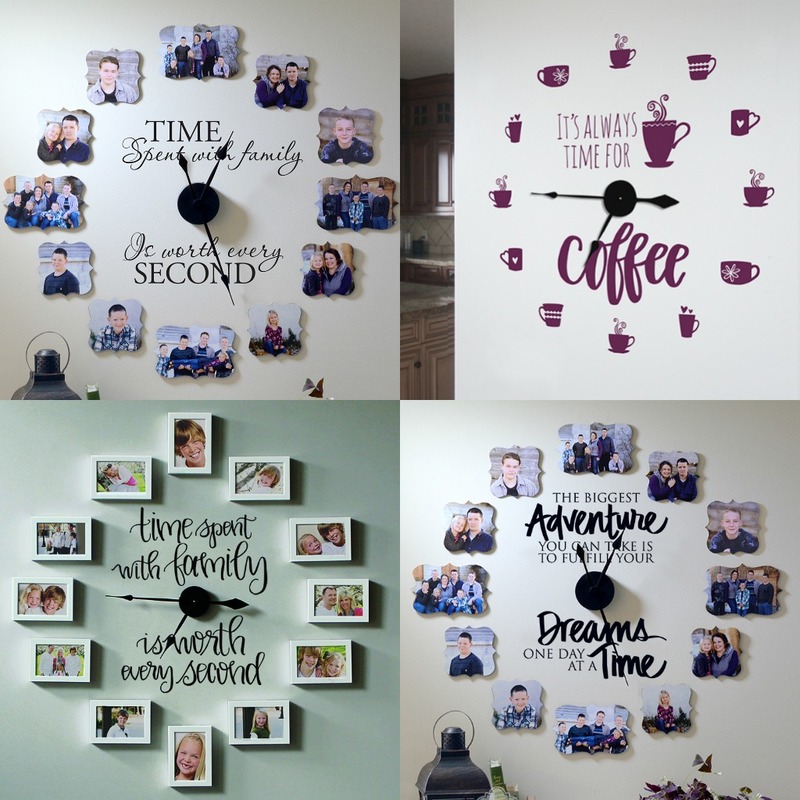 Combine with your own frames to create your own unique design!